What’s my Secret for Holiday Survival? Lists! What do you want to serve for dinner? Make a list. What do you need to buy at the grocery store? Make a list. Do you want guests to bring something to share? You guessed it. We can’t remember everything. There are just too many details. The start of the winter holiday season is just one week away. By listing things to do, you can see at a glance what needs to be done and when. For example, When do you need to order a fresh turkey or start thawing a frozen one? Note it in your list. 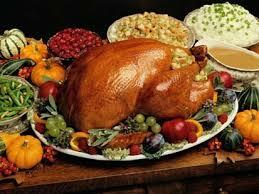 Thanksgiving is a traditional holiday when we enjoy lots of the same foods, which makes menu planning easier. But there’s still a lot to do. Be realistic and consider how much time you really have to get everything done–without leaving things to the last minute and totally stressing out. Here are some tips. Remember to bring your lists! 3. To remove the pressure of winging it when guests are there, list tasks according to when they should be done. Work backward from the time you’ll serve dinner, say 6:00 (adjust for your situation). Follow your lists and you’ll have an organized Thanksgiving! You—and your—guests will appreciate it. 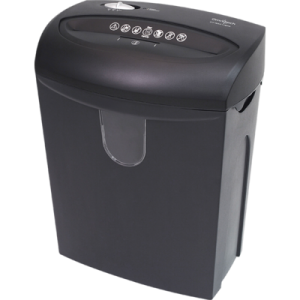 If you need a shredder, here’s a super Black Friday deal for you: Staples is selling an Omnitech 12-sheet, cross-cut shredder for $19.99 after rebates ($109.99 – $55 instant savings – $35 easy rebate = $19.99, a $90 saving). That’s a fantastic price! It’s available only from November 28-30, while supplies last. Limit one per customer. Buy it in stores or at www.staples.com. I’m a total believer in doing everything reasonably possible to protect my identity. Shredding papers is a quick and easy way to do that. *Product suggestions are provided as a courtesy. No endorsement by An Organized Approach™ is made or implied. previous post: Is Being Visual a Trick or Treat?